NEW YORK, March 5, 2019 /PRNewswire/ — Adam Wyden of ADW Capital Partners, L.P. (“ADW Capital”)(“the Fund”), a New York City based hedge fund, transmitted today a letter to the board of directors and management of IDW Media Holdings, Inc. (the “Company”) (OTCBB: IDWM)(OTCPK:IDWM) seeking a sale of the Company. ADW Capital along with its affiliates hold over 9% of the Company and believe that a sale to a strategic partner will help ensure that the Company maximize the value of its intellectual property. I would like to begin by commending the Board on the Company’s recent changes to its executive management. Specifically, IDW Publishing’s hiring of Chris Ryall as President and Editor-In-Chief in our opinion was an excellent move and we believe Chris’ history with the Company and depth of relationships in entertainment and with creators will serve the Company extremely well. Perhaps even equally important, we are incredibly excited about the Board’s decision to name Howard Jonas as CEO of the Company. 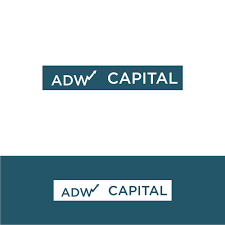 As you know, ADW Capital and its affiliates have been long term shareholders of the Company since its original spin-off and were also extremely successful as shareholders in IDT Corporation. Howard Jonas’ experience in value creation through strategic sales of unique assets – Net2Phone to ATT, Fabrix to Ericsson, IDT Entertainment to Liberty/STARZ, and most recently its sale of Straight Path to Verizon — is borderline unprecedented and we believe it is an extremely valuable asset to this Company, which we believe is equally strategic and incredibly valuable. Bill Gates and Sumner Redstone are famous for a number of things but few know that they are credited with the statement, “Content is King”. We believe those words have been never truer than today. Disney’s decision to pull its content from Netflix was akin to Princip’s shot of Archduke Franz Ferdinand that thrust the globe into its first world war. We believe this “Content War” is in the early innings and see the likes of Disney/Hulu, Apple, Google, Amazon, Netflix, TimeWarner/DC, and others trying to vie for its supremacy in the over-the-top subscription space race. As the “cord gets cut”, the distribution (OTTs) needs to justify why the consumer should subscribe to one service vs. the other – they can’t subscribe to all of them. In our mind, the only way these distribution companies can differentiate themselves is access to exclusive content. IDW is the only publicly traded pureplay IP/content company in the market place today that we are aware of. The Company is in an enviable position as the fourth largest comic book publisher by dollar share. We are consistently amazed by the quality of the Company’s leadership and its ability to source, incubate, and add to its growing library of content/intellectual property. We believe the creative talent, ingenuity of management, and library of content would be invaluable to many large-scale players who are starved for new funnels of content on their growing distribution platforms in this emerging “content war”. It is our understanding that IDW Publishing owns/co-owns over 200 IP assets / franchises, over 1,000 characters, and is creating over 20 new pieces of content / “storylines” per year. From our research, there are no other independent content “landbanks” that are growing their IP portfolio and have also successfully taken 5 shows and a movie to market. Wynonna Earp recently received a People’s Choice Award and was recently renewed for a 4th and 5th season by SyFY. More recently, Netflix executed on a three show straight-to-series deal for Locke & Key, October Faction, and V-Wars which are slated to air over the next twelve months. It is our understanding that the Company’s development pipeline is robust and the market’s demand for IDW’s content has never been greater. Independent content companies are like biotech firms or “landbanks”. Often times, they have the skill, expertise, and understanding of what the market wants/demands but are unable to successfully take these assets to an “income producing” state. The reasons maybe personnel/operational resources, access to the right cost of capital, and/or experience. We believe IDW has struggled to financially monetize its content for all the above reasons. Large studios / distributors are at an implicit advantage as they have monthly subscription fees and fully depreciated content portfolios that are earning them royalties / cash-flow to facilitate the development of new TV and movies and manage working capital swings. These companies also have large in-house production teams and a balance sheet that allows them to retain 100 percent of the economics of a production and eliminate frictional costs like special purpose production financing and other fringe costs. But what it does not mean is that our content is any less valuable. 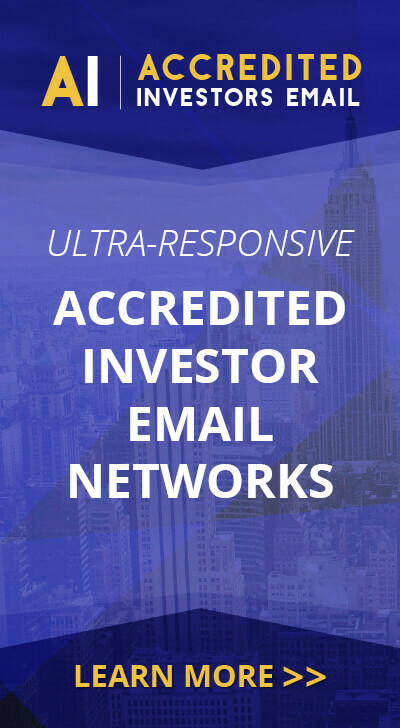 It simply means our Company does not have the resources / the right cost of capital to BEST monetize its large and growing IP/content portfolio. Summarized below is our “Sum-Of-The Parts” analysis / valuation of the Company’s assets today. Publishing Business 40 50 8 – 10x Normalized EBITDAEx. Corp.
IP Catalog 200 400 200 Pieces of Owned / Co-Owned IP. Pool is growing daily. Entertainment / Shows / Pipeline 50 100 4 Shows and 3 on NFLX, Big development pipeline. Potential ancillary revenue streams like merchandising, video games, etc. CTM Media 30 40 6 – 8x Normalized EBITDA Ex. Corp.
As evidenced above, we believe the intrinsic value of the Company’s assets is far higher than the Company’s trading price would indicate. We believe the market is discounting the Company’s ability to financially monetize its IP portfolio given its lack of scale, operational resources, balance sheet, and/or willingness to monetize the Company through a sale. In a 12/21/2018 press release, IDW mentioned “anticipating the need to raise future funding through a capital raise to existing stockholders”. Our firm would be supportive of such a “rights offering” if the Company made a public commitment to “dollar defined” expense management / cost reduction, ceased its “deficit financed” TV business (after fulfilling its existing obligations), and adopted a license/option model where the Company does not control production but retains ancillaries like video games, merchandise, etc. which generate large margins and require little capital It is our understanding that companies like Valiant Entertainment, Skybound, etc. have sought to monetize their content in these far less capital-intensive ways. It should also not be lost on management / the Board that control premiums in the marketplace for portfolios of content are at record highs. There have also been two recent comic book content transactions. It is our opinion that those library assets were far smaller than IDW’s and were not really creating/sourcing new content. The two transactions we note are Netflix recently acquiring Millarworld and DMG’s acquisition of Valiant Comics – both we believe are nine figure transactions. We think the Company could structure a stock-for-stock transaction with a larger public company that would allow current shareholders to receive an even higher premium for their stock than if the consideration was paid solely in cash, while allowing shareholders the option to participate in the value and synergy IDW should add to the new platform — just like what happened when Verizon acquired Straight Path. I am asking management to do the right thing for all stakeholders today and publicly announce a strategic alternatives process and its engagement of a major investment bank. By seeking a strategic partner at this stage in the game, it should ensure that the Company can grow significantly without many of the competitive / cost of capital risks of staying a small and independent public company. ADW Capital Partners, L.P. and its affiliates hold just over 9 percent of the Company’s shares and urge the board to take our recommendations seriously. I look forward to hearing your response. This press release contains forward-looking statements. All statements that are not clearly historical in nature or that necessarily depend on future events are forward-looking, and the words “anticipate,” “believe,” “expect,” “estimate,” “plan,” and similar expressions are generally intended to identify forward-looking statements. These statements are based on current expectations of ADW Capital Partners and currently available information. They are not guarantees of future performance, involve certain risks and uncertainties that are difficult to predict, and are based upon assumptions as to future events that may not prove to be accurate. Accordingly, readers should not place undue reliance on forward looking information. ADW Capital Partners does not assume any obligation to update any forward-looking statements contained in this press release, except as required by applicable law.